How Hydroponics Systems Work For You, Part 3: Watch The Water - Rosebud Magazine Hydroponics Lifestyle Growing And Entertainment! 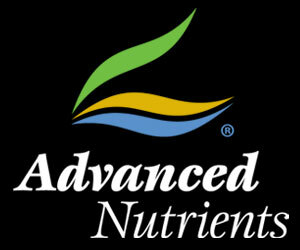 How clean and healthy is your hydroponics nutrients water? In our previous discussions on hydroponics systems, we noted that systems can be categorized based on what happens to the hydroponics nutrients water after it has been first applied to the hydroponics root zone. In some circumstances, the nutrients water enters the root zone, leaves the root zone and is then discarded. This is an “open” system. In other circumstances, nutrients water enters the root zone, leaves the root zone, and is recaptured. This is a “closed” system. 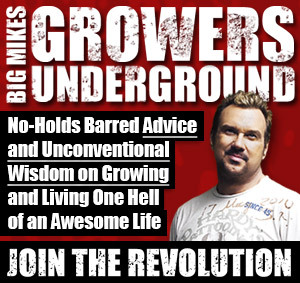 Most growers have closed systems because closed systems save money on hydroponics nutrients, and save time because you don’t have to keep mixing new batches of nutrients every time your plants need water and food. Closed systems obviously must have a place for recaptured hydroponics nutrients. That place is usually a hydroponics reservoir, and hydroponics reservoirs are more than just simple containers. One reason for that is hydroponics reservoirs contain standing water and where standing water is, pathogens and other problems might not be far behind. Standing water that only has synthetic hydroponics nutrients in it is relatively safe from pathogens, algae and other bad things that can pollute the reservoir, clog pumps and aerators and harm your hydroponics roots. But standing water to which you’ve added beneficial microbes, carbohydrates, and/or organic hydroponics nutrients is ripe for problems including pathogens and algae that can severely damage or destroy your root zone. These problems can also evolve into physical barriers that block the ability of your irrigation system to deliver nutrients to your plants. Other than adopting a drain-to-waste open system so you only use your water once and then create a completely fresh batch of nutrient-enriched water almost every time your plants are irrigated, you have to carefully manage the temperature, aeration and cleanliness of a closed-system hydroponics nutrients reservoir. Using a bubbler, air stone, temperature management, pH control, reverse osmosis water filtration, ozone, UV anti-bacterial lighting, beneficial bacteria and other strategies, along with frequent draining and cleaning, ensures that your closed-system reservoir will not go rotten. Of course, you also have to use the same strategies in an open system, but an open system is not as prone to problems because the water and nutrients materials are completely renewed more often. In any case, there is an art and science to maintaining hydroponics nutrients water in any system that uses a pre-mixed stored batch, especially in a closed system with a reservoir. The reason for this is that over the course of use, your nutrients water changes. How you manage those changes will be part of what we cover next time, so stay tuned to RosebudMag.com…your hydroponics success magazine and website. Know any strain hoarders? A grow expert weighs in on whether to share your special strains or keep them to yourself – click here. 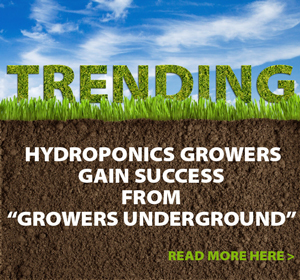 Check out this creative way to oxygenate your hydroponics roots.